The season of Ice creams and Ice Gola is back. With vacations and summers coming up together, these shops can become the “Hang-Out Spots” for Amdavadis. 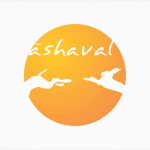 The list provided by Ashaval will come handy to teenagers and grown-ups both as our list contains the latest trendy places to impress the teenagers while the “Old is Gold” list wins the hearts of grown-ups. We have listed all the unique and latest ice cream parlours in Ahmedabad and the oldest and evergreen ones too! So go, explore the list and do mention in comments which one is your favourite! 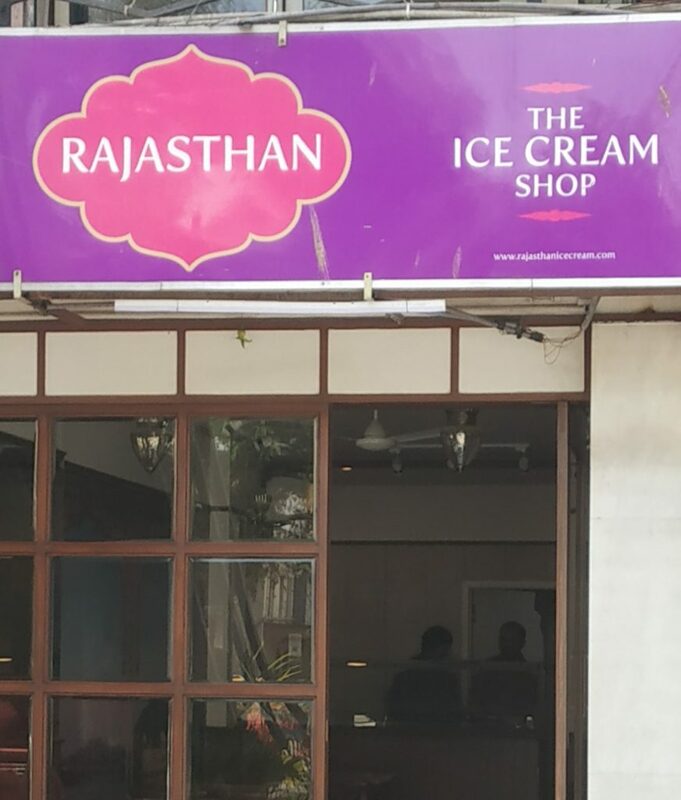 Pabrai’s claim their ice creams to be 100% natural with no added colours. 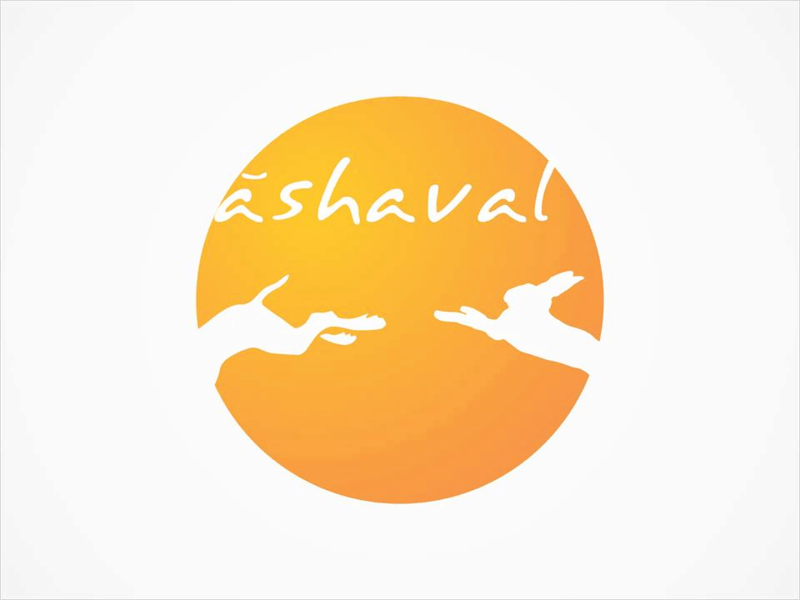 They have only one outlet in Ahmedabad, and the brand is getting much popularity nowadays. Pabrai’s have created an original icecream flavour named as Nalen Gur. They serve milkshakes too. Turkream is a new concept that has been introduced to Ahmedabad. 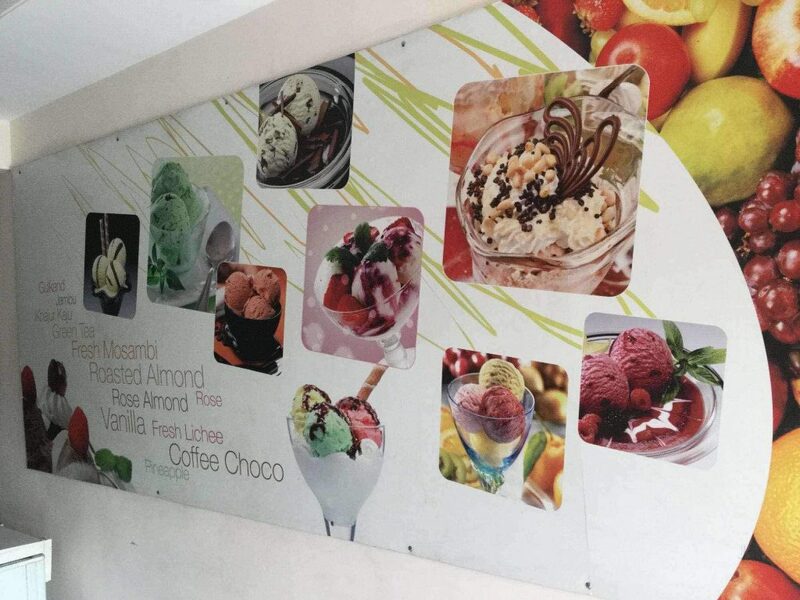 The owners of Turkream are trying to establish the fame of Turkish ice cream among Amdavadis. Their ice creams are based on a 400-year-old concept from Turkey. It was one of the main attractions at Hungrito 2.0. See how they attracted the crowd in a fun new manner at the food fest in the video below. Ice cream Works started around two years ago with an outlet in Acropolis Mall. 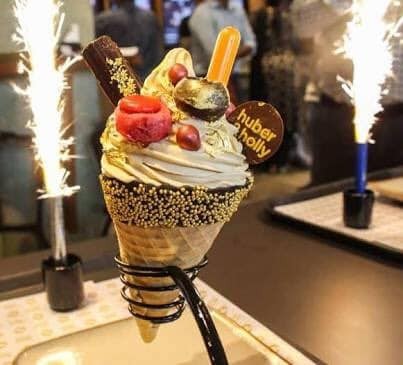 The place is famous among youngsters and offers ice-creams, falooda, shakes, and waffles as well. The place is a little expensive, but it is worth the money. The variety of flavours it offers is worth giving a shot. 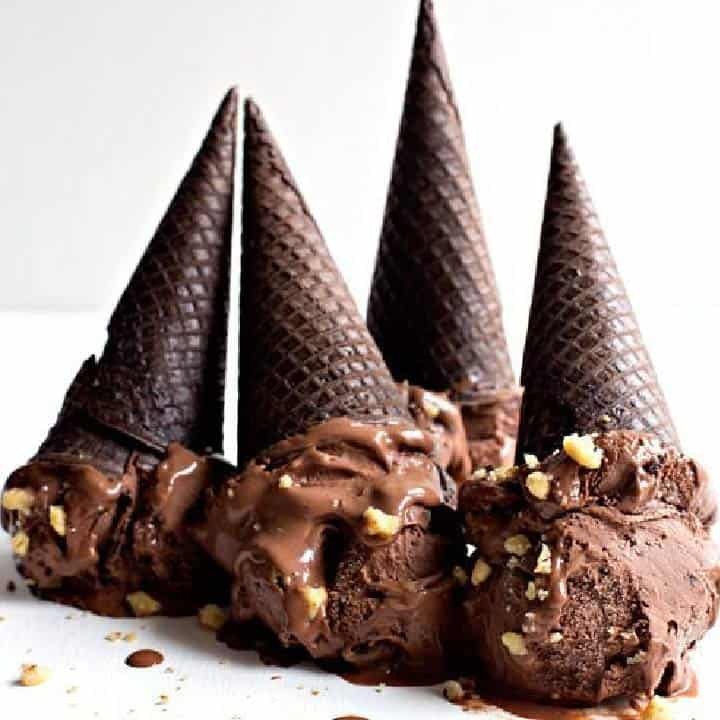 Black cone is worth trying. Huber & Holly has emerged as one of the most famous desserts serving place among Amdavadi. This renowned cafe chain is a venture by Havmor and has only one mission – To make the world a happier place – one scoop at a time! Along with ice creams, you can also have a quick bite because it has some fantastic range of snacks too. Shankar’s Ice Cream Library has a fantastic ambiance to offer. The place is trendy, and youngsters love to visit it. Their specialty is fresh Jamun, Pan Masala and Tender Coconut flavours. One exciting attraction in their menu is the Live stations and Cold Stone ice creams. The dessert parlor is affordable and worth the price with such trendy interiors. 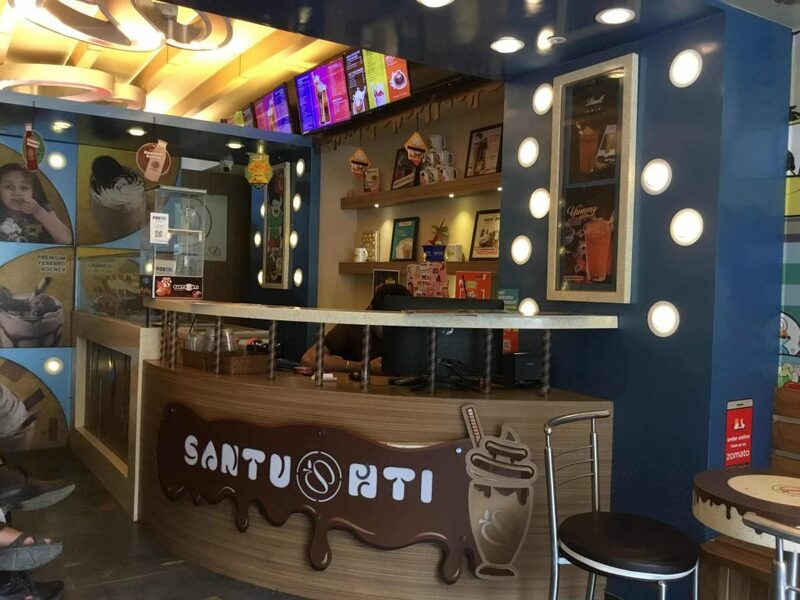 Santushti Shakes & More got its name in 2008 by his owner Mr Sunil Chelani. It serves world-class delicacies and precisely follows three principles – quality, variety and value for money. 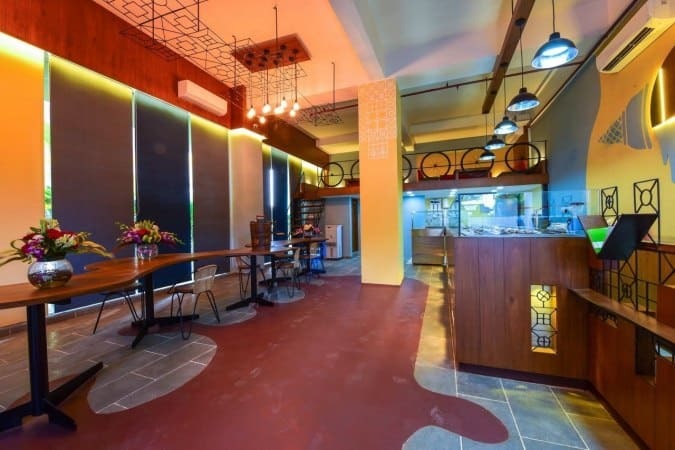 The cafe offers funky interiors and a decent quality of dessert. Also, they provide live sports screening. So Melt In was established in 2013 by Aastha Gandhi. She belongs to a family who owns a major ice cream brand called Vadilal. Well but Melt-In does not offer only this much but they bring in something very unique and first of its kind to Ahmedabad. Aastha Gandhi brings delicious Gelato to Amdavadis. The place has got much popular among youngsters. The place offers fresh pulp ice creams too. Icekraft is a pan India chain started by two friends. 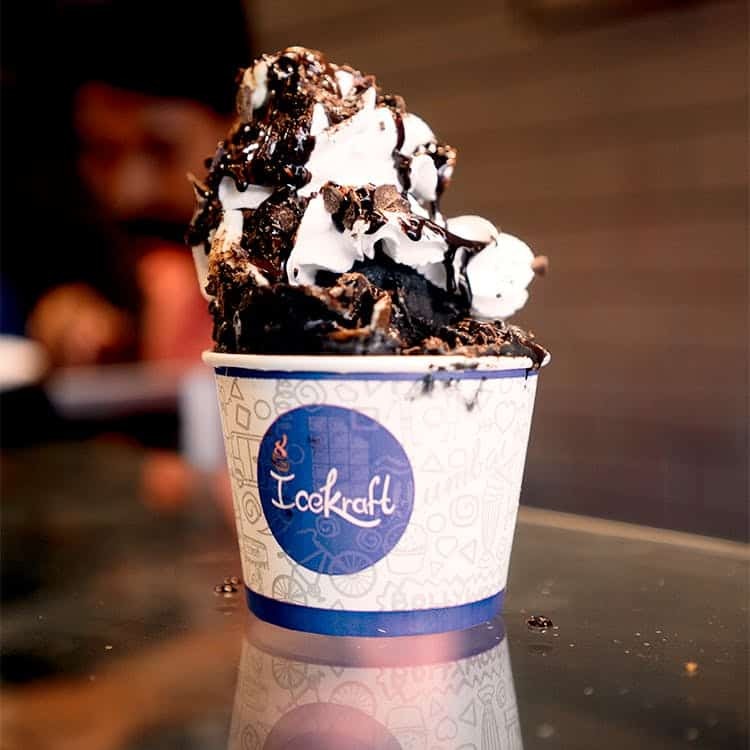 Aditya Churiwala and Monil Shah founded Icekraft with a view of serving freshly made preservative-free desserts. 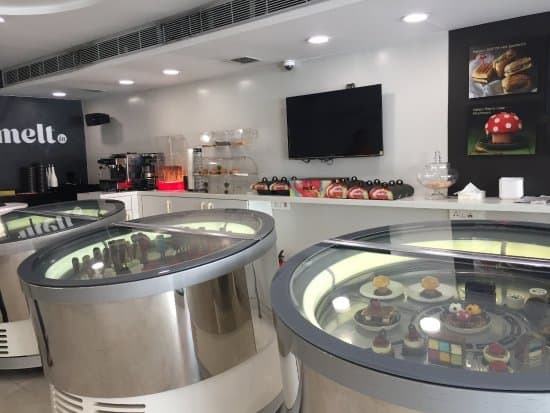 A peculiarity of Icecraft is it offers a wide range of flavours for ice creams, waffle, and pancakes as well as provide an option to customise your dessert according to your wish! It offers Stylish indoor sittings and a pleasant ambience too. Honey Cube is famous for a unique variety of roll ice creams it offers. The concept of Tawa Ice Cream was brought to Ahmedabad by Honey Cube itself. Honey cube claims to use fresh milk sourced from its farms. 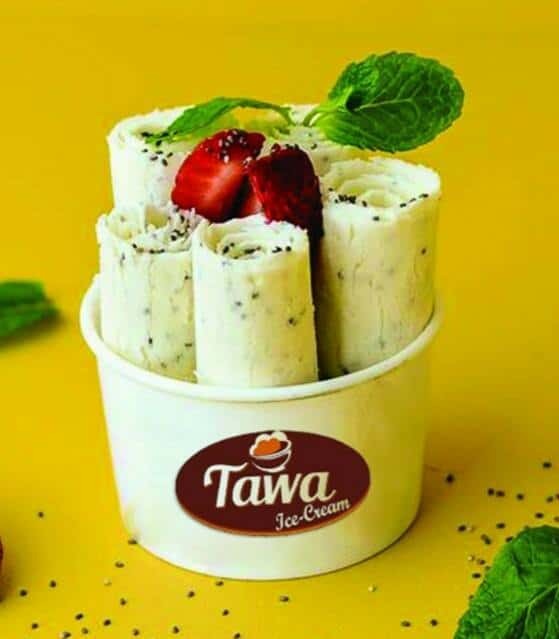 The Tawa is frozen at -22 Degree Celcius and then fresh milk and ingredients are poured in and squeezed to make live roll ice creams. Amdavadis love this place indeed. When you step in Brain Freeze, you are astonished by great interiors and trendy ambience it offers. Brain freeze lets you have your customised ice-cream bar. This Ice cream brand from Mumbai has three must-try flavours which are Dutch Discovery, Banana Bleed, and Crafted Caramel! 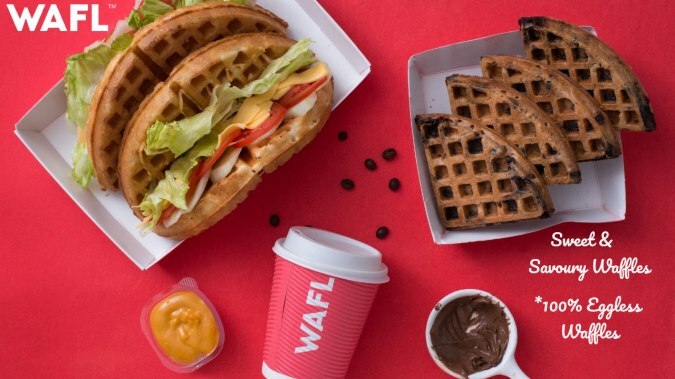 They offer waffles, freak shakes, frappes and much more. 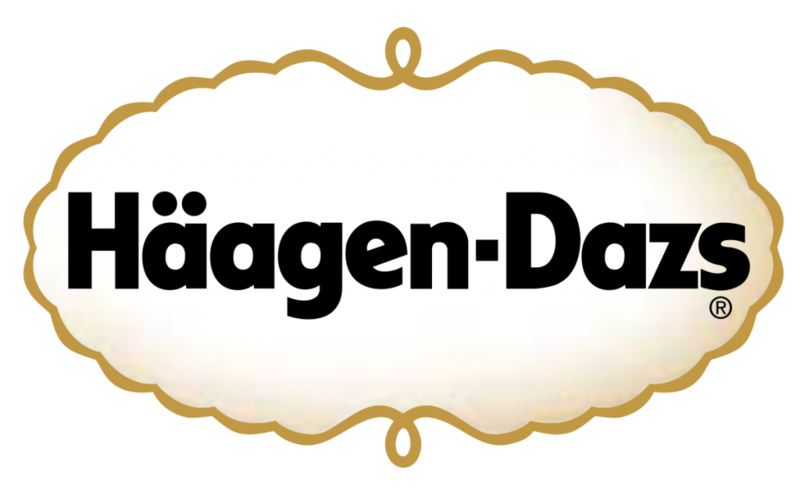 Well, Haagen Dazs is a premium brand loved and eaten by people from all over the world. Established 1961 this brand claims and proven to use 100% real ingredients. Although it is costly, it is worth the money. 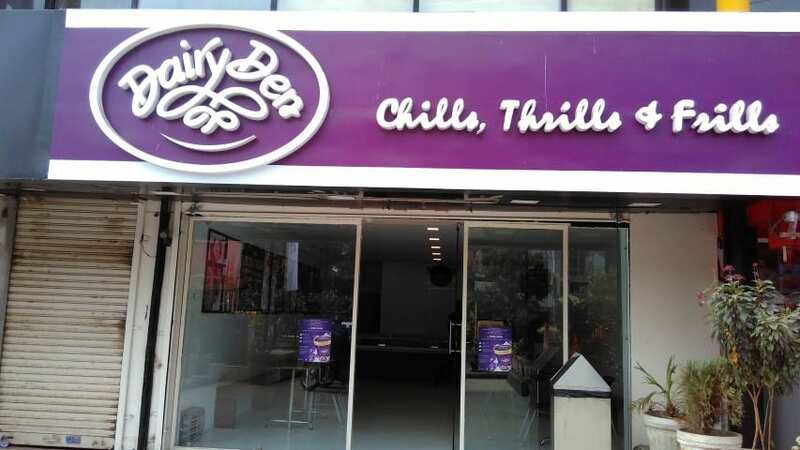 Not all the cities in India have outlets for this ice cream brand but, in Ahmedabad, we have two outlets. Explore them and experience the real taste of high-quality ice creams. If you are a fan of traditional delicacies, then Farki is the best option for you. This place is famous for Lassi and its kulfi falooda. Amdavadis love this place as much as they love the new coming trendy cafes. Rajwaadi lassi is the most famous and loved item of Farki. Location – Well, Farki has got 12 outlets in Ahmedabad. You can find all the information here. Naturals follow a slow philosophy. The brand has slowly evolved and now has become popular. It has some fantastic flavours which are irresistible. The most famous flavours it has got are Coconut tender and Sitafal. With an old-school ice cream parlour ambience and a great taste, this place has impressed Amdvadis very much. 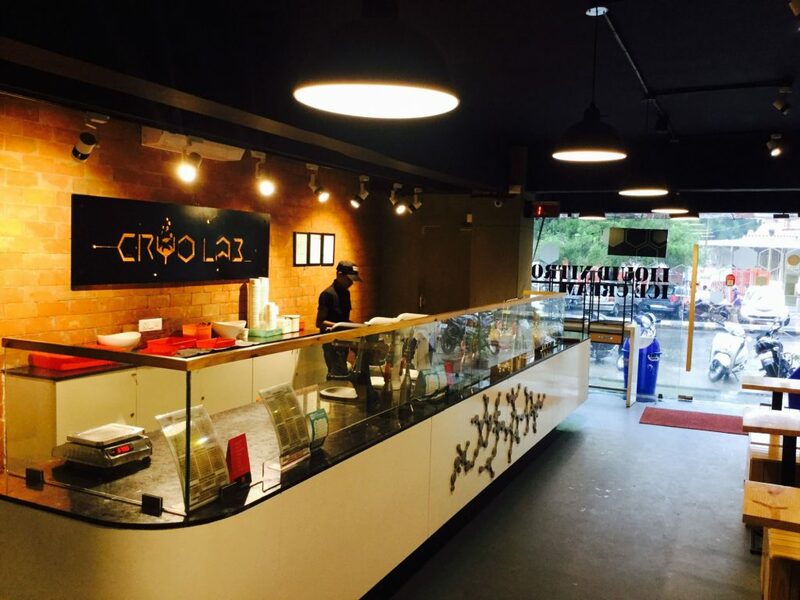 Cryo Lab has the speciality of serving handcrafted ice creams. They have an outlet which offers indoor sitting with high-class ambience and an outlet at SBR Social food truck. Cryo Lab is considered to be one of the best ice cream cafes by Amdavadis. 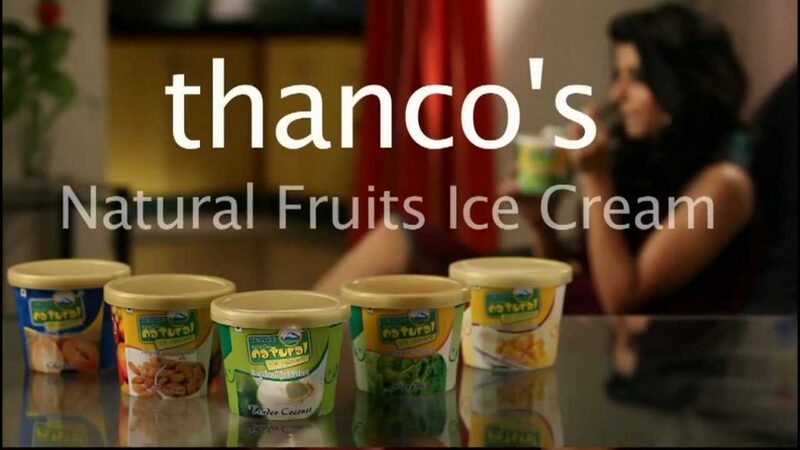 Started in 2009 Thanco’s has 70+ stores all over India today. Thanco’s has witnessed such tremendous growth because of the high-quality ice cream it offers and the artistic look it gives to its outlets. People love it Belgium Chocolate flavour the most! Wafl Cafe, one of the recently opened cafes in Ahmedabad. Summer 2019 will be the first summer of Wafl Cafe in Ahmedabad. It’s range of Hong-Kong Waffle is the most praised one. Owing to the popularity it has gained in this much days, this place is expected to dominate over other cafes this summer. 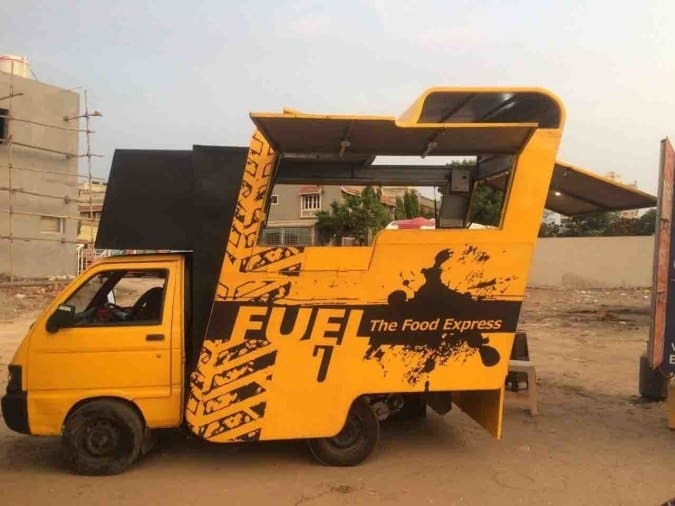 Well, Fuel is an ice cream truck which you will find in the Food truck park near Karnavati. This unique concept has attracted youngsters very much. Also, it serves grated ice cream which is already much popular among Amdavadis. Well, this one is located in Gandhinagar but is so famous among Amdavadis that they travel from Ahmedabad to Gandhinagar especially to try it. 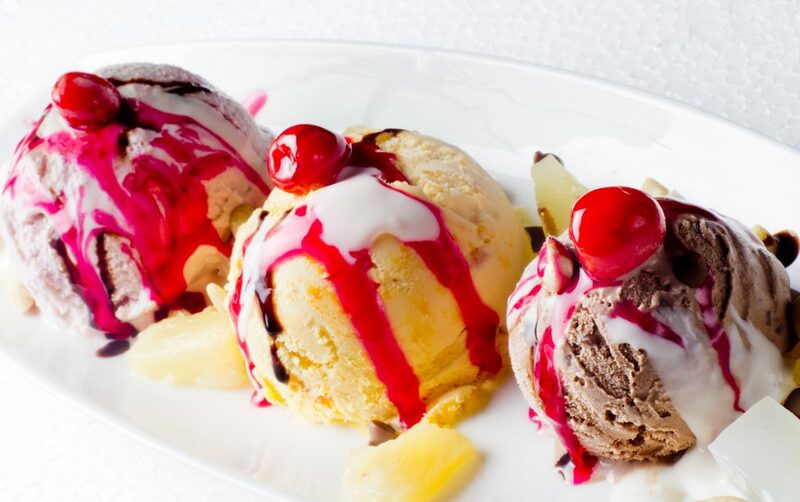 Trupti Ice cream Parlour is one of the oldest outlet and still, it manages to maintain it’s taste and quality. 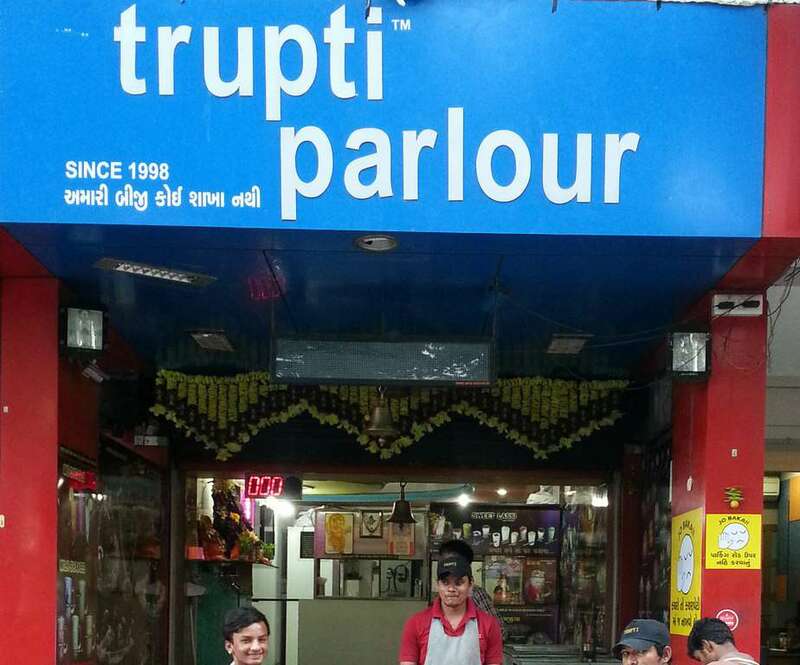 From children to elders all of them love Trupti’s Ice cream. 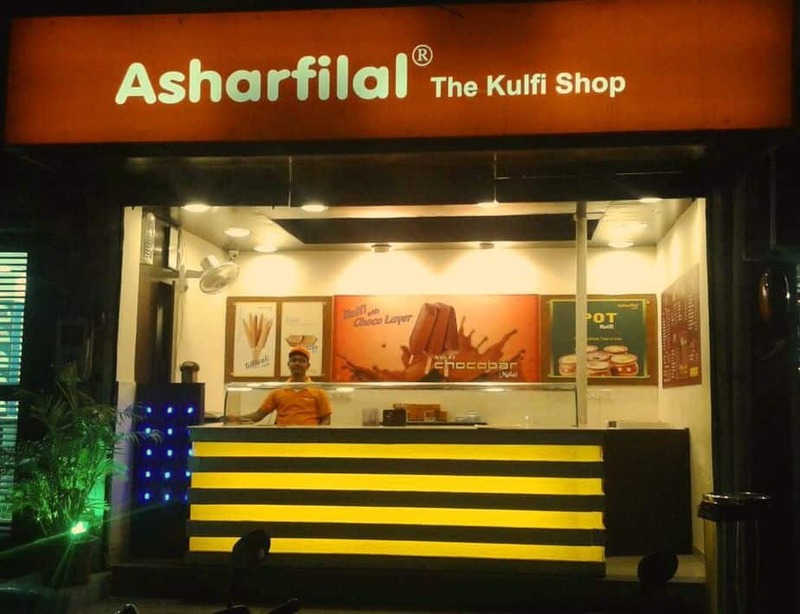 As the name suggests, Asharfilal Kulfi serves moreish kulfi range. The most famous outlet is in Manek Chowk Mandvi ni Pole. This one the oldest yet favourite dessert destination of Amdavais. It started with serving Malai Kulfi and Pista Kulfi. Now it has been established in 4 cities of Gujarat. This is that childhood ice cream parlour every Amdavadi has a memory of. It is an evergreen ice cream shop and is most loved for its Indian flavours. Try its lip-smacking Rajbhog flavour. Do visit this place in summer 2019 and relive your childhood memories. Location – It has seven outlets in Ahmedabad. You can have all the information regarding it here. Jaysingh’s Ice cream is sure to cast its magic over Amdavadis every summer. It’s tasty flavours lures everyone and brings the impression of ice creams we had in childhood again. Prem Mevad is an ice cream brand inspired by the flavours of Rajasthan. It has various outlets, and you will also find its ice-cream trucks at many crossroads in Ahmedabad. Amdavadis are die-hard fans of this place. Its speciality is the famous Badam Shake it offers. Apart from shakes, it offers delicious faluda too. Try it, and I bet you won’t regret it. Location – Well the locations keep shifting as most of the outlets are trucks. Started way back in 1969 Dairy Den is one of the oldest ice cream parlours in Ahmedabad. The ice cream parlour has an outside sitting and is located in the municipal market. The parlour not only serves ice cream but also shakes and soda. The speciality of dairy Den is its Chocolate brownie and pop up soda! 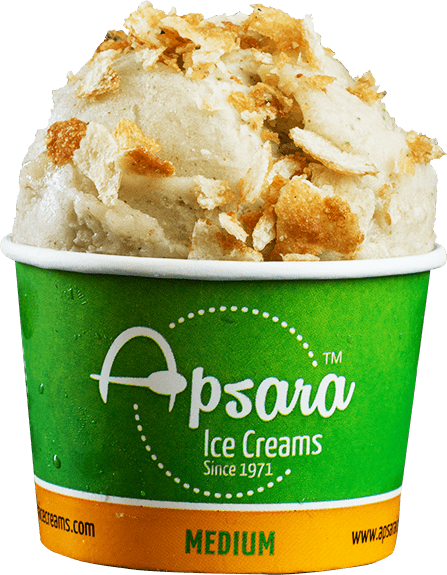 Established in 1971 Apsara Ice creams was first opened in Mumbai. The brand is famous for its ice creams made from “sanchas”. The only motto they follow is ‘To make ice creams using fresh fruits/dry fruits, milk and sugar’. Guess which flavour do people love the most here? Well, they offer the taste of Paani Poori in the form of ice cream which is loved by people very much. So let’s have the “Mazza” of cool Paani Poori with Apsara. As Xerox has become the word for photocopy, in the same way, Havmor is the word for icecream for Gujaratis. Did you know the famous icecream parlour chain was started from Ahmedabad itself? Well, the chain was started by Satish Chona and was first established in Karachi. Then due to the partition of India in 1947, he shifted to Ahmedabad with his family and started growing Havmor here. Havmor has a vision to serve good, pure and true icecreams. Location – Here is the list of all the outlets of Havmor in Ahmedabad. 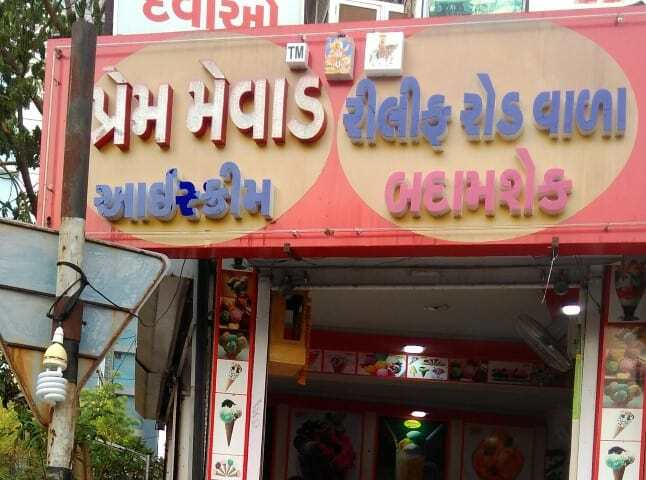 So here is another famous icecream chain started from Ahmedabad. Vadilal was started as a soda fountain in 1926 and now is a gigantic icecream parlour chain serving 150+ icecream flavours. Also, Vadilal has come up with a concept of Vadilal Hangout where you can relax with your family and friends with good music. Location – Here is the list of all the outlets of Vadilal in Ahmedabad. 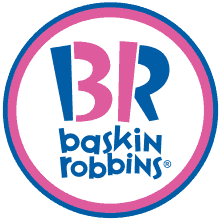 Baskin Robbins was started in 1945 and now has become a global icecream brand. It came to India in 1993 and has its stores in 190 cities with more than 750 stores now. The globally favourite icecream flavours it offers is World Class Chocolate and Strawberry Cheesecake. Location – Here is a list of all Baskin Robbins outlets in Ahmedabad. 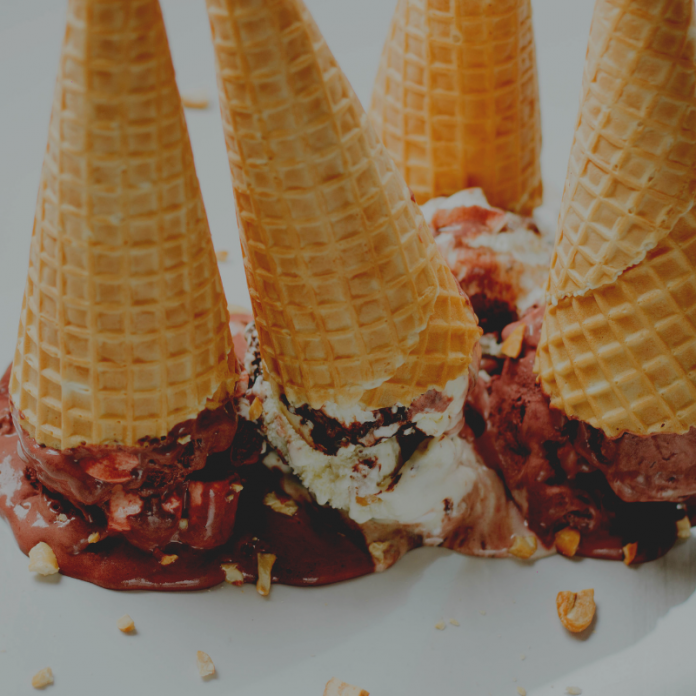 Finally, we come to the end of this long list of Ice-cream places in Ahmedabad. Tell us if we have missed out on any place worth mentioning. Last but not least we would really like to thank our Quora followers for contributing with their valuable suggestions.